Each year hundreds if not thousands of individuals suffer severe injuries, and many are killed when working in and around bulk solids storage and handling facilities. While this represents but a small percentage of all fatal occupational accidents reported by OSHA and other government agencies, these accidents often receive more press coverage and, in many cases, are avoidable for reasons explained in this article. The publicity aspect is illustrated by a report in the New York Times stating that there were at least 26 deaths in 2010 on just American farms alone. Another report noted that nearly 180 people – including 18 teenagers – were killed in grain-related entrapments at federally regulated facilities across 34 U.S. states during the 30-year period starting in 1984. Regarding international 2017 combustible dust incidents (e.g., fires, flash fires, and dust explosions), there were 102 recorded injuries and seven fatalities, with six of the seven occurring in North America . Through the first six months of 2018, an additional 31 injuries and eight fatalities were recorded due to fires and explosions related to bulk solids handling. Two examples of situations in which one or more workers were killed during the storage and handling of bulk solids illustrate the problem. Several silos storing limestone rock are located above ground at a quicklime plant in the Midwestern U.S. Each silo has a capacity of about 400 tons and consists of a 20-ft-diam circular cylinder, below which is a conical hopper section. The silos are leg-supported, and one silo used to be located above a building that was used as a laboratory. One day -- suddenly and without warning -- the hopper section of that silo separated from the cylinder section (see Photo 1), killing two workers in the lab beneath. The problem was found to have been the result of buildup of lime dust on exposed flanges of the silo’s ring support steel. Moisture was trapped in the buildup, which corroded the silo’s cylinder section. Eventually the silo wall thinned to the point that it could no longer support the hopper. 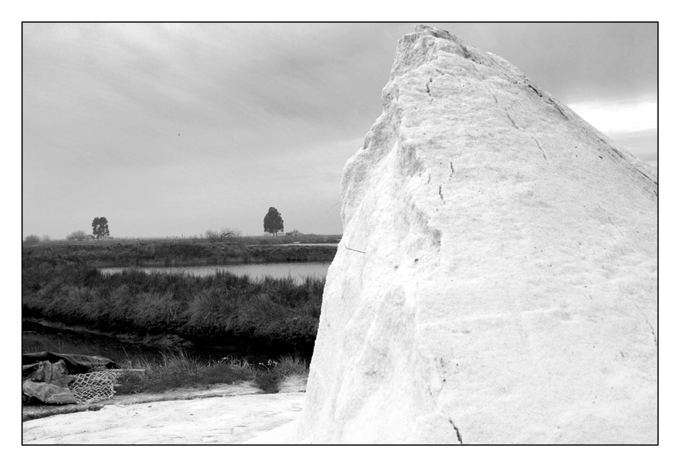 A 40-ft-high stockpile of clay was left at a quarry in New Zealand at the close of each day’s work. The premises were fenced, and “no trespassing” signs were placed around the boundary. Three children climbed the fence and were playing near the face of the clay pile when it collapsed. Several tons of clay fell, burying two of the children. One child was immediately extricated and revived. The other child was found after 20 minutes of frantic hand digging. Even though he was only 6 in. from the surface of the clay, he could not be revived. · 29 CFR 1910.119: This Process Safety Management (PSM) standard is intended to eliminate or mitigate the consequences of releases of highly hazardous chemicals which may be toxic, reactive, flammable, or explosive. · 29 CFR1910.146: This covers permit-required confined spaces. Most silos fit the definition of such a space. · 29 CFR1910.147: This addresses the control of hazardous energy through lockout and tagout. · 29 CFR1910.272: This covers grain handling facilities such as grain elevators, feed mills, flour mills, etc. It specifies training requirements for such tasks as bin entry and how to avoid engulfment. · 29 CFR1926.250: The material storage section of this standard requires individuals to be equipped with personal fall arrest equipment when working on stored material in silos, hoppers, tanks and similar storage areas. · General Duty Clause: This requires employers to furnish employees with a place of employment that is free from recognized hazards that are causing or are likely to cause death or serious physical harm. · 30 CFR 56.11001: This requires that safe means of access be provided and maintained to all working spaces. · 30 CFR 56.15005: This requires that safety belts and lines be worn when persons work where there is a danger of falling. In addition, a second person must tend a lifeline when a bin, tank, or other dangerous area is entered. · 30 CFR 56.16002: This requires bins, hoppers, etc. to be equipped with mechanical devices so that, during normal operation, workers are not required to enter or work where they are exposed to entrapment by caving or sliding of materials. · 30 CFR 56.9304: This requires dumping locations to be visually inspected prior to work commencing. · “Stockpile safety”, Safety Manual Series, SM 27, Rev. 2001: This deals with the safe operation of mobile equipment on and around stockpiles. Other organizations such as NIOSH4 and NFPA5 also have regulations that apply to the storage and handling bulk solids. A. People are so accustomed to walking on a solid surface (e.g., compacted soil, cement slab, asphalt paving) that they assume that there’s no problem in walking on the surface of a bulk solid. Many deaths have occurred in silos and bottom-reclaim stockpiles caused by engulfment when at arch or rathole collapsed, a gate below the surface was opened, or a feeder was started. B. Most people do not realize the enormous amount of potential energy that is present in a silo, a stockpile, or a mass of hung-up bulk solid. For instance, in kinetic energy equivalents the potential energy associated with the limestone rock silo described earlier in Example 1 is the same as being hit by a fully-loaded semitrailer travelling at 110 mph! While in this context the danger is obvious, in the form of potential energy it is often ignored. C. Many people assume that “a tank is a tank.” Therefore, it doesn’t much matter whether it stores a liquid or a bulk solid as long as it doesn't leak. Following this line of thinking to its logical conclusion, the properties of the material stored in a silo and the resulting flow pattern, flow problems, and material-induced silo loads are given little consideration. One might install a new side outlet or change the fill point of a silo without giving much thought to the potential consequences. D. Another fundamental problem is the lack of intuition -- or wrong intuition -- people have. They think they will have time to react or that loads can’t be that high or that they can climb out if there is an issue. People who work in the chemical industry are well aware of the potential for exposure to hazardous, sometimes lethal gases and liquids. They also know that some equipment can rupture due to over-pressure (such as an internal explosion), so such equipment is designed with extreme care to prevent this type of failure. Work in the mining industry is similarly dangerous. In a single mine thousands of tons of bulk solid are moved and processed every hour of every day. This involves blasting, conveying, crushing, grinding, and the movement of massive equipment, including many huge trucks – all of which pose significant danger to anyone nearby. Safety awareness is not limited to these two industries; it is on the mind of workers and management in every industrial plant worldwide. Unfortunately, many standard approaches to safety awareness and promoting a safe working environment do not work, as evidenced by the frequency of serious accidents and death involved with storing, handling, and processing bulk solids. While there should be no disagreement that it is unacceptable in this day and age to have losses in the workplace caused by stupidity or carelessness, one is left wondering if it is possible that bulk solids are so pervasive that it is impossible to regulate workers into being safe. Poor personal decisions driven, in part, by lack of awareness of the dangers involved account for many injuries and death in the field of bulk solids handling. The science and associated hazards of bulk solids storage, handling, and processing are well known to some (experts in the field, some regulators) but not to others. Conducting a Job Hazard Analysis (JHA) before performing an unfamiliar/unusual task creates a circuit-breaker to “fast-thinking” and forces mindfulness, which is always a good idea. For example, before entering a silo to get material flowing again, stop and consider the possibility of engulfment if a gate is opened or a feeder started. 1. Break the job task into steps. 2. Identify the hazards of each step. 3. Identify ways to eliminate or reduce the hazards. If the situation is atypical, it’s wise to get expert help, especially for steps 2 and 3. 1. Reactive Stage: People don’t take responsibility and believe accidents will happen. 2. Dependent Stage: People view safety as following rules. Accident rates decrease. 3. Independent Stage: People take responsibility and believe they can make a difference with actions. Accidents reduce further. 4. Interdependent Stage: Teams feel ownership and responsibility for safety culture. They believe zero injuries is an attainable goal. Many firms are stuck at the "Dependent" stage, so safety awareness relies on supervision, rules and regulations, and discipline. Even if organizations such as OSHA and MSHA were able to create regulations to cover every aspect of the storage, handling, and processing of bulk solids – which obviously they cannot – these government agencies rely on the “stick” of forcing the employer to pay a fine if there is a violation. The safety culture (i.e., what do you do when no one is watching) at these “Dependent” firms is weak. They go through the normal educational route (training, posters, etc. ), but they cannot move the dial until they start to apply some science and look at the psychology of safety. An extremely useful reference is E. Scott Geller’s “The Psychology of Safety” . The author of this practical handbook teaches science-based and feasible approaches to change what people think (attitude) and do (behavior) to achieve what he calls “a Total Safety Culture.” In this culture, everyone feels responsible for safety and pursues it daily. At work, employees go beyond “the call of duty” to identify environmental hazards and at-risk behaviors. Then, they intervene to correct them. Safe work practices are supported with proper recognition procedures. Improving the situation starts with more education of the dangers involved in the storage, handling, and processing of bulk solids. This is a huge undertaking given that owners, operators, workers, contractors, designers, repair crews, and trucking firms all need to be educated. Articles such as this one hopefully raise awareness of the problems that can occur, but this information needs to be distributed to a wide audience. Another area that needs more attention is making design codes more complete. Differences between the various codes must be identified and resolved as much as possible. 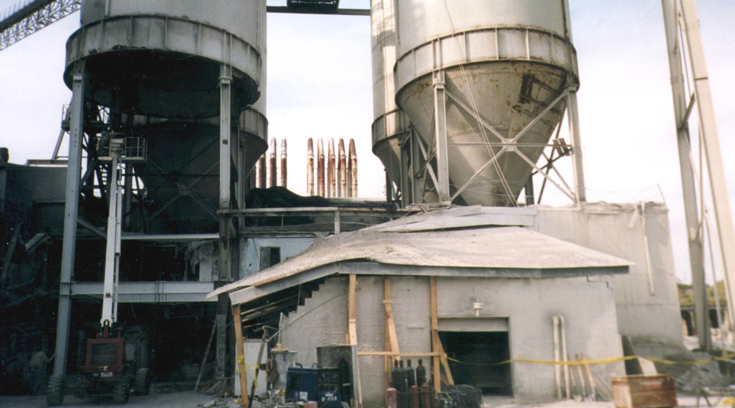 One can only hope that the need for education in the dangers involved while storing, handling, and processing bulk solids and for improvement in silo design codes is recognized and addressed before too many more needless tragedies take place. To help combat organizational amnesia, centralized access to historical events is required. Demonstrating that bulk solids-related loss is far from a Black Swan (i.e., rare) event and flagging the root causes will help ensure that this ceases to be a blind spot and that risk assessments and JHA’s are properly documented and fulfilled. John W. Carson, Ph. D., is chairman of the board, Jenike & Johanson Inc. (Tyngsboro, MA) Grant Wellwood, Ph. D., is general manager, Jenike & Johanson Pty Ltd (Perth, Western Australia), and Eric P. Maynard is vice president, Jenike & Johanson Inc.